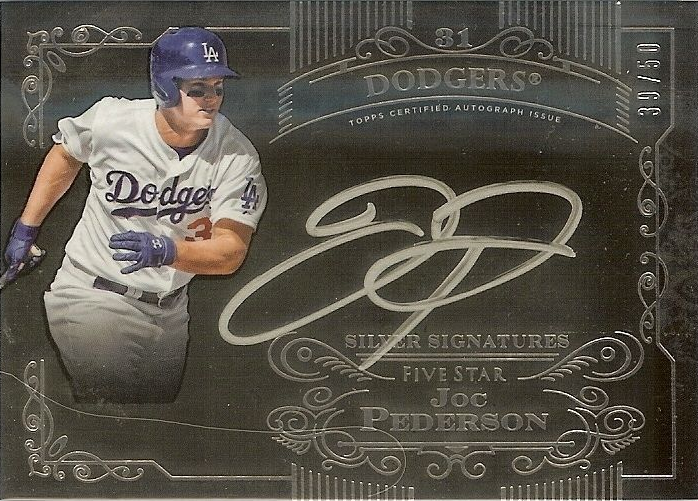 Last week I shared pics of the base autograph Dodger cards found in packs of 2015 Topps Five Star. Now I take a look at the rest of the Dodgers' cards. Unfortunately, I have yet to see any of the Dodgers "1 of 1" cards, so those pics are lacking. Instead, I've included pics of an example when available. Of note is the Legendary Lineups Cut Signature Book card featuring the lineup of the 1952 Brooklyn Dodgers. It includes the basic 8 player lineup - including Robinson, Snider and Campanella - of that team and promises to be awesome. I can't wait until somebody finds it and shares it online. If you happen to see it, please let me know. And if you happen to be the lucky person to get it, please send along pics. Here's an example of what the Cut Signature cards look like below. This is the Eddie Matthews card. 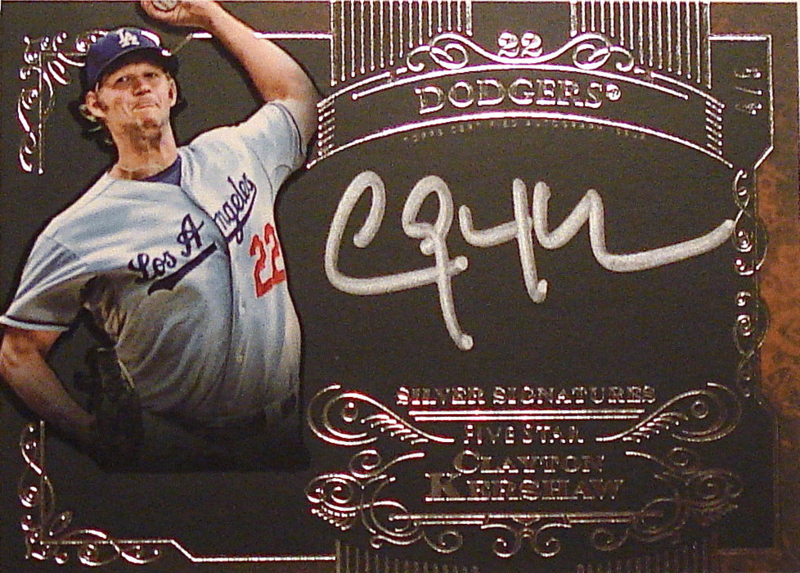 Here's an example of what the HOF Class Cut Signature Books look like below. This is the Billy Williams, Ray Danridge & Catfish Hunter card. 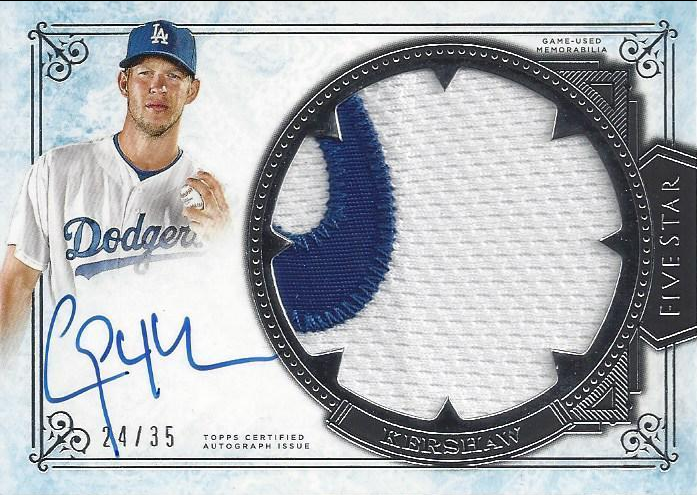 Here's an example of what the MLB Silhouetted Batter Logo Patch Auto'd cards look like below. This is the Zach Wheeler card. 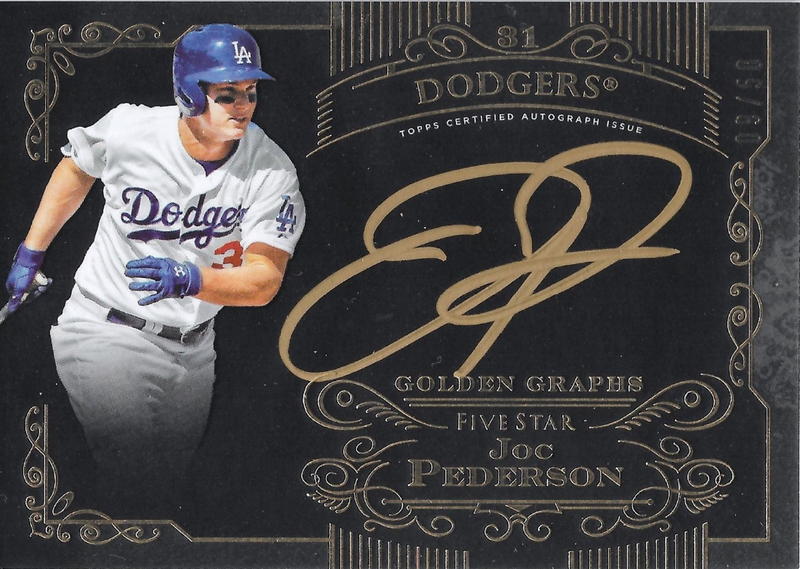 The Golden Graphs cards below basically look just like the Silver Signatures cards above, with the difference being a golden pen signature. The checklist is also a little smaller.